You spent a wad on that big, fabulous wedding. All your friends were there, all your family - everyone had a good time - fabulous! It suuure seemed like a lot of love, everything was so sentimental. You probably even shed a tear or two during the ceremony. Now, what happened to all that? Let's talk divorce. The divorce rate per annum is startling! According to divorce.org, 50% of all Marriages in America end in divorce. I find that quite sad. After all the love shared and showed, especially at these fabulous weddings, why is it that so many marriages end up in divorce? In any union communication is key. However, it seems most marriages fail because of a lack thereof. Of course there are many different reasons why marriages fail whether it is financial issues, personal issues, extra marital affairs, etc but, why is it that the number one reason (as reported) is a cheating spouse (who knew?). So my question is this: What causes a partner to cheat/stray? I recently read an article about cheating spouses and the signs to look out for - some of which are typical. What really got my attention was the mention of certain companies out there that actually "help" these cheating spouses to cover their tracks! You know the popular excuses of "working late" or "business trips"? For a fee, these companies, in these instances, will print out fake plane tickets to the cheater's fake destination and cover every angle possible to cover their tracks. It even changes caller ID and other records to make it seem like they are calling from where they said they were going rather than where they actually went with their ‘acquaintance'. They make it almost impossible to know if your spouse is cheating under these conditions. I would love to hear your thoughts on marriage, cheating and divorce. 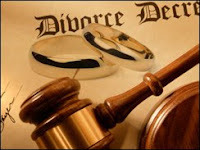 The rise is divorce is directly also attributed to the lucrative gains in a sense with its doing by the government and the parties involved, no one mentions the single digit percentages acquired by the system as well as court costs in the whole process it is tantamount to breaking up a company, no regard for who it hurts but when favorable done with utter pleasure. The sacredness which has been removed from marriages which made the union spiritually unbreakable, which use to force tolerance and extensive ab-solvency to problems no matter how dire. The cheating and such behaviors come from the total disregard of the union and people exercising their individual desire over that of the two made one. In my view, marriages these days quite often ends up in divorce or a spouse cheating because of a void in that relationship. People change over time, and as a result,they may have lost the connection that brought them together in the first place. What that may be I do not know. The perception is that both parties got together because of love, but,this may or may not be true. I don't have the answers for why people cheat or why the divorce rate is so high, but what I can say is before a person chooses to join a union aka marriage, a few tips are essential: know yourself, do not try to change anyone,learn from each other, do not be pressured into getting married, and do not allow societal pressures to compel you to make decisions that you are not comfortable with.